Join our all women’s Recreational Level 1 course to learn the key elements of making sound decisions while traveling in avalanche terrain from some the most experienced women guides and instructors in the industry. This 3-day hut based course effectively combines classroom time and field sessions to provide a comprehensive overview of avalanche hazard recognition and evaluation. This course is a nationally recognized Avalanche Level 1 Course. We know that women excel at learning in a supportive, fun atmosphere where they can ask questions, have a voice and engage with other women who are passionate about the outdoors. Fun always plays a huge part in all of our programs and it’s a fact that we learn more when we’re enjoying ourselves. Morning sessions introduce avalanche concepts to students. Afternoon field sessions in backcountry terrain provide hands-on experience and ensure quality field time with our top-notch staff. Each day students travel into backcountry ski terrain in small groups with their instructors. These experiential sessions examine topics discussed in the classroom. All students will be able to practice route finding and terrain analysis, dig snow pits and conduct stability tests. 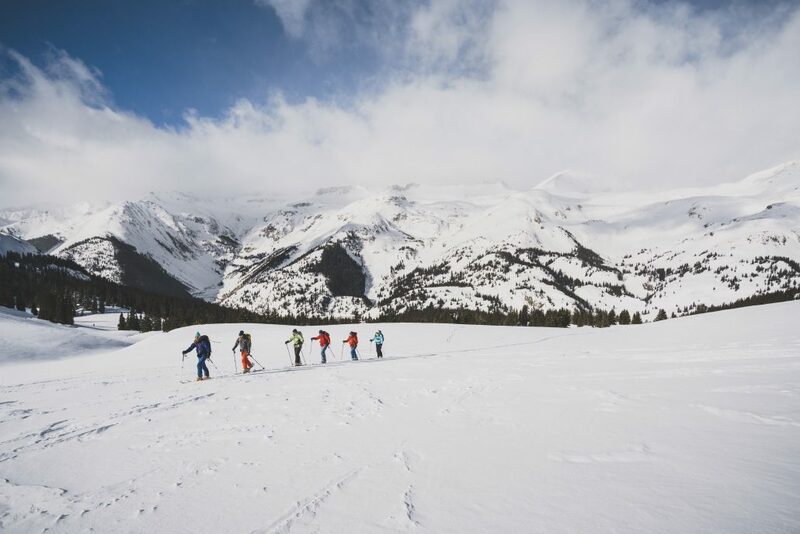 Unlike many avalanche courses, Silverton Avalanche School students gain practical training in the wild backcountry rather than a ski area. The redesigned Recreational Level 1 will include more field on route planning, terrain management, and hazard evaluation time, as 4-6 hours of field time in the past were needed to cover companion rescue. Level 1 is for anyone who wants to recreate in or near avalanche terrain. Participants may have attended some awareness classes or workshops or completed the Avalanche Rescue course, but none are a prerequisite for this course. Aspiring professionals will need to take this Level 1 and Avalanche Rescue as a prerequisite for the Pro 1 course. You will be re-directed to the Silverton Avalanche School website to register for this program. **Demos from our Sponsors are available including outerwear, warm layers, and gloves. Please contact us if you would like to check out some of the latest and greatest. Meet at the Silverton Avalanche School HQ in Silverton, CO.
A $35.00 fee is charged for course date transfers. 60% of the course cost can be refunded up to 30 days prior to the course start. No refunds are provided for cancellations made less than 30 days prior to the start of the course for which you are registered. Unfortunately, we cannot give refunds, rainchecks or cancellations if passes are closed (best arrive early if the weather forecast is big).